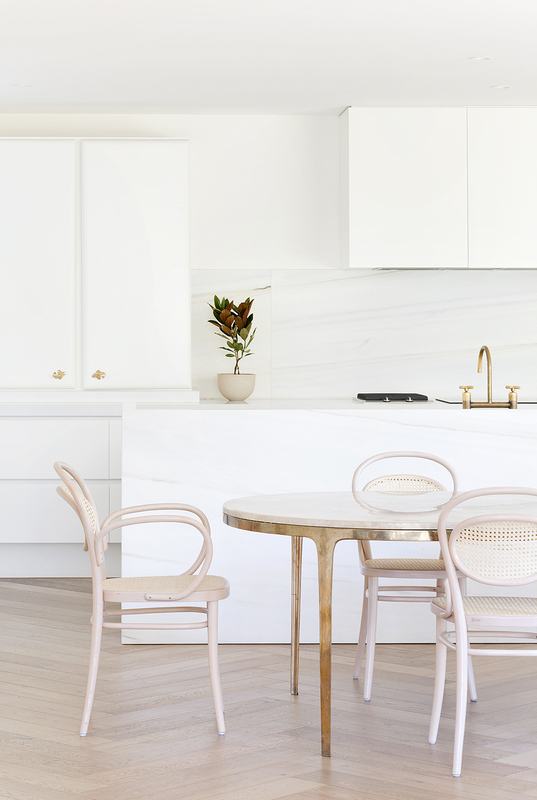 White is a designer’s dream when done right. It’s fresh, understated and luxurious all in one. 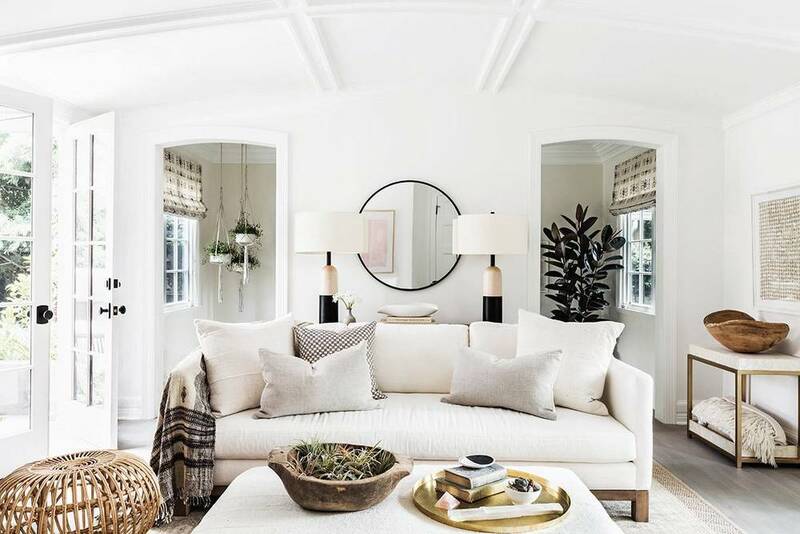 A white palette is the ultimate blank canvas that complements all your favorite furniture and accessories. You can layer and build on it. It’s clean, classic and most of all versatile. 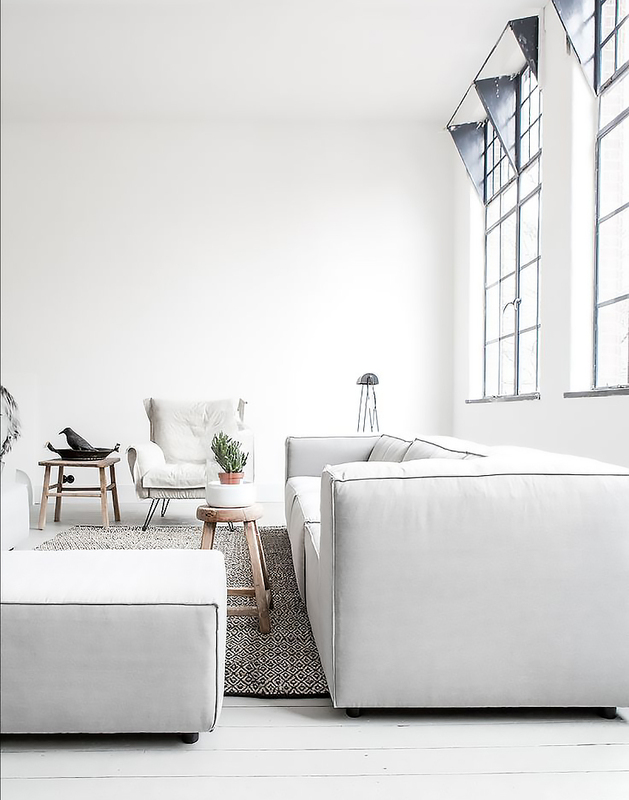 However, a white interior is sterile when unplanned or worse; it looks like you’ve just moved in. Ready to take white to a whole new level? Add these strategies to decorate with white like a pro. Not all whites are created equal, and not all whites match. In fact, white is one of the hardest colors to choose when it comes to paint. When selecting your white paint, I like to choose one as neutral as possible. It’s important to know that yellow creates warmth making it ideal for a classic look while blue tones feel cooler and complement modern interiors. To add depth to your room, layer it with shades of white. 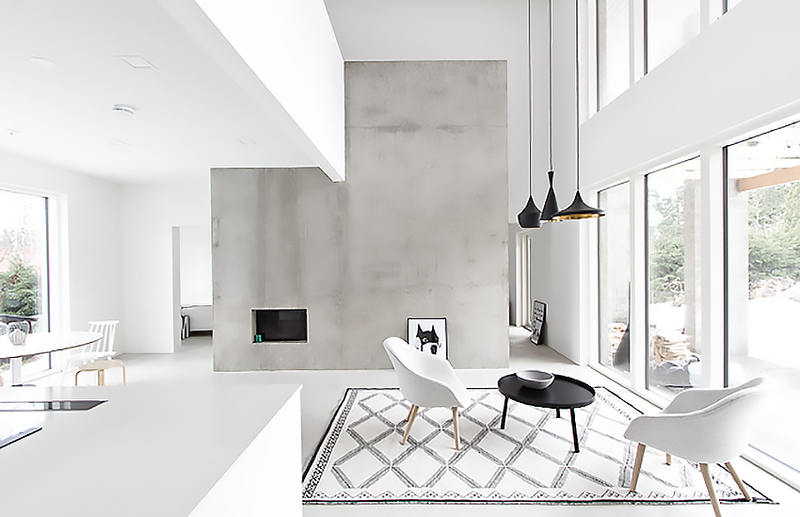 One of the foundations of a white interior is white furniture. Don’t be afraid of white. White shows dirt, which is a good thing because it means you are more likely to take care of it. If you know you’re challenged to keep whites clean, buy an easy-to-clean durable fabric or a washable slipcover. 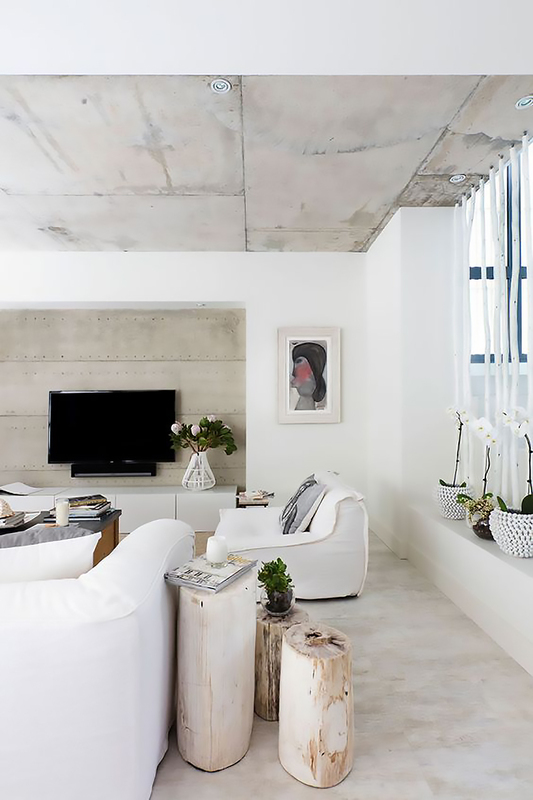 One of the best ways to create interest in a white room it to play with different textures of materials. 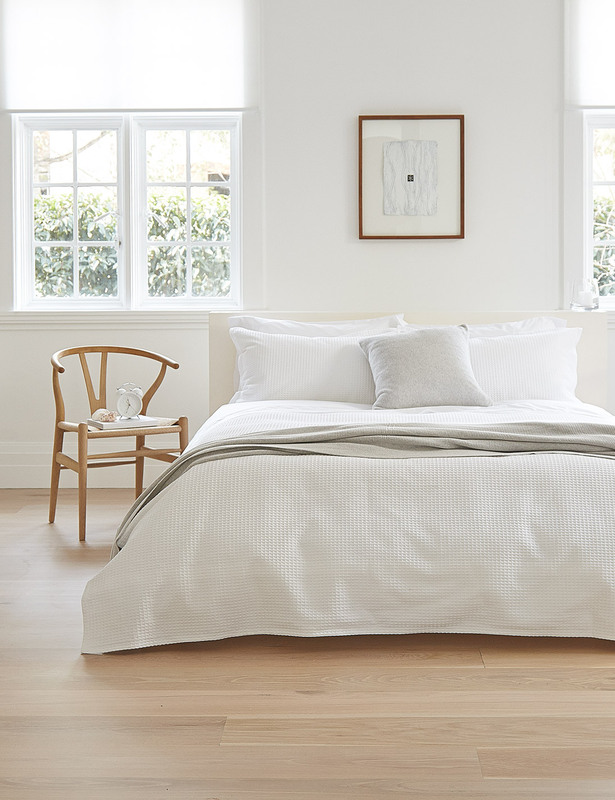 Layer textured patterns and soft materials to make your white room feel cozy instead of cold. Not all the walls have to be white, look for a textured wallpaper or take advantage of light wood, stones or concrete finishes. A textured headboard looks great in the bedroom while white marble backsplash or tiles look elegant in the kitchen. Another way to add visual interest to a white room is to layer furniture, finishes, and accessories. By overlapping various tone-on-tone elements, like pillows on a sofa, you create depth making the room feel finished, full and inviting. Nothing warms up a cold white room like natural wood elements. Wood is warm, casual and has timeless appeal. In this image, a cherry wood picture frame creates a statement while the wood floor anchors the space. The wood Wishbone Chair completes the inviting feel of the room. A white monochromatic color scheme provides the perfect background for luxurious decor when combined with glam finishes. The best way to kick a white room up a notch is with beautiful accents of silver, copper, and gold. Consider adding metal accents with furniture, accessories, lighting, and hardware. In a monochromatic color scheme, every piece is critical to the final design because there are no distractions. So when you mix another material, color or metal in with white, it just pops. The black leather chairs and decorative pillows stand out in the white backdrop of this living room. The attention to color and details makes a statement in this eye-catching design. The most dramatic color combination in design is black and white. Not only is it a classic combination but it also looks oh so good together. 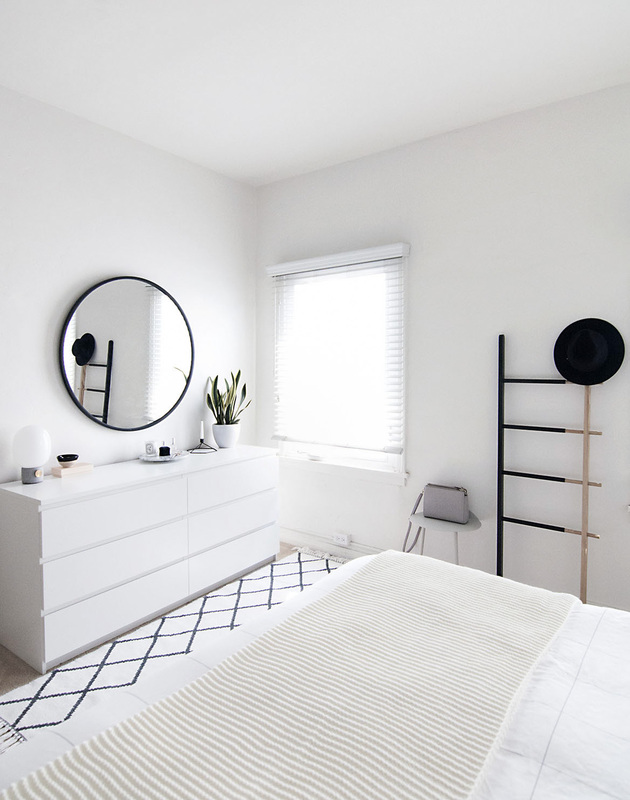 An excellent way to change up an all-white room is to add contrasting furniture, lighting, and accessories. It not only adds character but a focal point too. 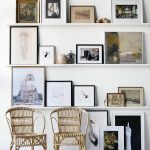 If you want to draw your eye to an important element in an all-white room like artwork, make it stand out in black. Light affects the way your eye sees color. The most natural light is from the sun. Take advantage of the natural light and keep your window treatment light and airy to let the light in. Lighting has different temperatures and tones from blue (think bright fluorescent lights) to yellow. 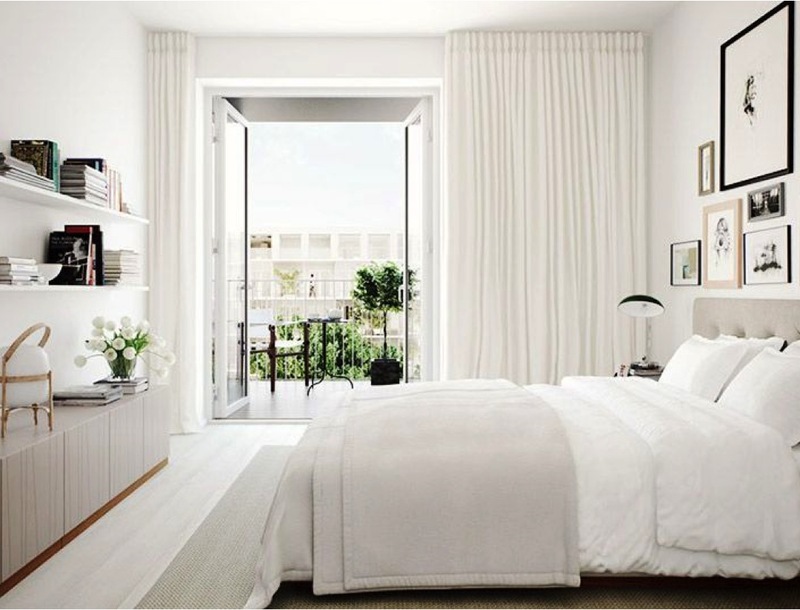 If you have a beautiful white room, keep it bright with neutral white lighting. Try a LED light bulb with a Kelvin temperature of 3500. You can find this on the package of your light bulb. 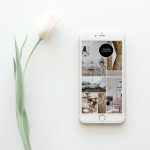 If you have friends, clients or colleagues who want to decorate with white, share this post. They’ll appreciate it! Great article. This is exactly what I was looking for. I’m hoping that you can help me for something. 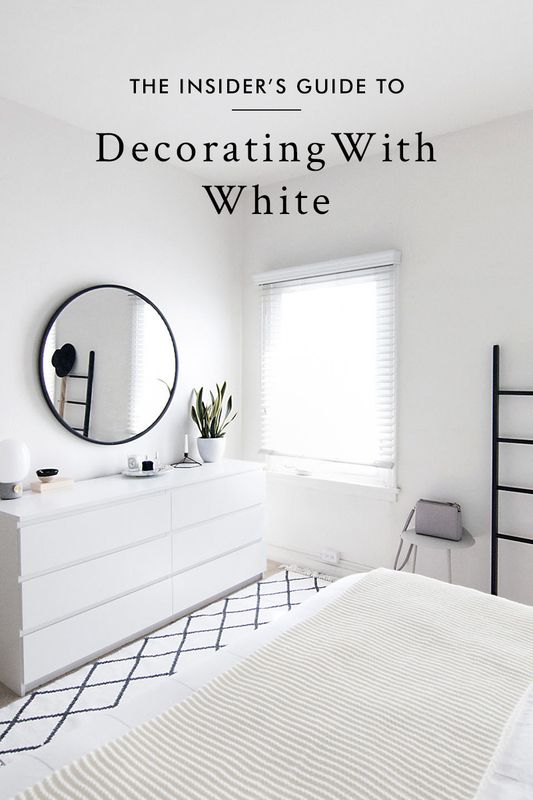 What white paint color do you recommend for your favorite white? Thank you for the comment, Marie! I’d be happy to help. I love Benjamin Moore’s White Dove for a warm white and Decorator’s White for a cool white. I paint the ceiling with Super White to make it brighter and feel higher.